Welcome to MrKent’s blog page. This page is here to help you better understand how this website came about and why it exists. 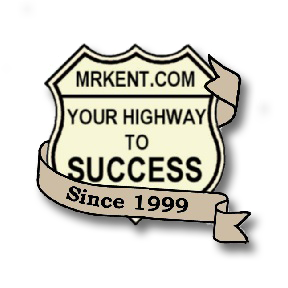 If you are not familiar with MrKent.com you should first go to the The Home Page and get to know what is available to you – especially if you are a small business owner or a student taking any kind of career course. This site was established for MrKent’s students’ use in 1999 and has grown quite a bit since that time by the addition of many useful online applications for small business owners and career student. Also, by taking time to browse through this blog you will better understand how things have come about through several years of change and growth.